Our experienced consultants can run a bespoke raising standards inset day in your school. Below you will find a list of our most enquired and booked inset days based around raising standards in primary schools. To view other areas which our consultants have run inset days around or to find out more on our general inset/consultancy options click here. Sir David Carter, the National Schools Commissioner has challenged our thinking about effective schools and academies by creating his own categorisation. He looks at four stages of school improvement and identifies eight types of schools and academies from the ‘strongest performers’ to the ‘weakest system performers’. 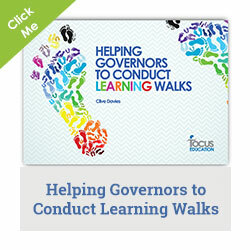 It also considers the role that governors should have in supporting school improvement and effectiveness. It challenges schools and academies to self-evaluate in a more impartial way. There is recognition that secure school improvement takes time but also acknowledges that leaders need to prioritise and sequence the changes they need to make. School Improvement is the product of high quality leadership so understanding the stage of the ‘improvement journey’ is vital for getting the right leaders in place. Changes to the inspection framework have made it clear that, when judging teaching over time, more weight needs to be given to the evidence of learning and progress in pupils’ books. This should lead to much more focus being given to book scrutiny as a natural part of a school’s self-evaluation process. 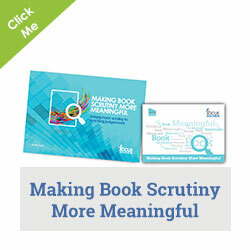 This one-day training is aimed at helping school leaders be more effective and efficient in their book scrutiny activities.